One of the styles that many players explore when expanding their knowledge of jazz is Latin jazz. With its syncopated rhythms, driving grooves and fun chord progressions, Brazilian jazz guitar is one of the most popular sub-genres of the music that we know and love. To help you get your fingers around the different grooves that make Latin jazz sound so good, here are 10 common rhythmic patterns from both the Brazilian and Cuban music traditions. Though Brazilian jazz isn’t technically Latin music, such as salsa and other Cuban grooves are, we’ve included both countries in this lesson since they are the most commonly used non-swing styles that you find in the jazz genre. 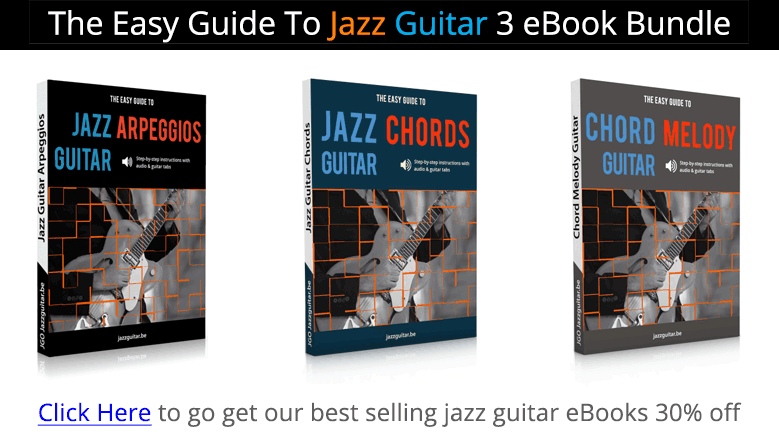 Since they are so popular, having an understanding of both Brazilian and Cuban grooves on the guitar will go a long way in preparing you for any jazz jam or gigging situation. For those of you that have studied Brazilian rhythms before, you’ll be used to reading them in 2/4 time. But, to make it easier to read for those with a jazz and rock/pop background, the examples in this lesson are written in 4/4 time. 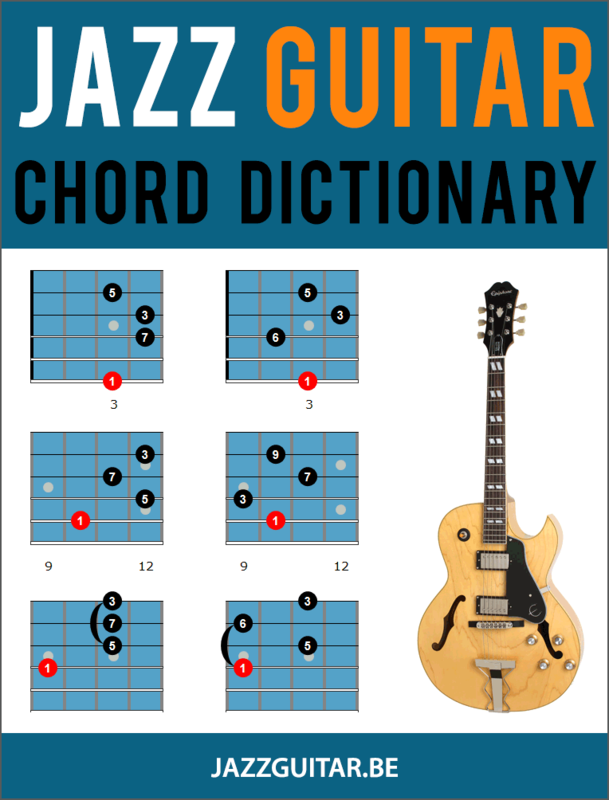 So, grab your guitar, turn up your amp and let’s dive into 10 classic Latin jazz guitar rhythms! We’ll begin with the first Brazilian based rhythm in this lesson, the Bossa Nova. Songs like Blue Bossa, The Girl From Ipanema, and Besame Mucho have long been part of the jazz repertoire. While there are many variations of this pattern, this is a basic Bossa guitar pattern that will allow you to confidently and authentically play any Bossa tune. The key to playing this rhythm, and any Brazilian rhythm, is putting the accents in the right place. In this particular pattern, the chord on the & of 3 should be accented, meaning that it is a bit louder than all of the other chords and bass notes in the progression. Now that we have learned a basic Bossa Nova pattern, let’s add in one more attack on the & of 4 of each bar, placing the following chord a half beat early in each measure. When doing so, you can also add a slight accent to the new attack on the & of 4 as well. This is tough to get down, but it’s worth working on as anticipating chords is an essential skill when playing Brazilian rhythms. It will also be the basis for our variations moving forward in this lesson. You can also play a reverse version of the Bossa rhythm that you just learned. This pattern features the upbeats in the first half of the bar followed by the downbeats in the second half of the measure. Keep the accents the same as the first Bossa groove, only now it’s the & of 1 and 2 in this version. You will now learn a basic Samba pattern that uses the first Bossa rhythm, paired with the reversed version of itself to form a two-bar phrase. Take the samba rhythm you just learned, which was a Bossa 1 and Bossa 2 combination pattern, and reverse the order of each bar. When doing so, you play the reverse Bossa first followed by the original Bossa pattern in the second bar to form the longer reverse samba pattern that you see below. Once you have this pattern under your fingers, try playing over a Brazilian jazz tune and switching between both of the samba rhythms that you have learned up to this point. This next rhythm is a variation of the samba groove that you just studied, and is called a Partido Alto. Here, you will play a variation of the reverse Bossa in bar one of the phrase, followed by the original Bossa rhythm in the second measure of the groove. When playing this pattern, try accenting each upbeat over the two-bar phrase as you develop an authentic Brazilian swing feel. The last Brazilian groove that you will explore in this lesson is the Baião, which is rhythm from the North East of the country and one that is commonly used in Brazilian music. Two items to look at with this rhythm are the bass notes, which are played as a dotted 8th-note followed by a 16th-note tied to a quarter note on beats 1 and 3 of each bar. The next rhythm that you will learn comes from the Salsa music of Cuba and is also referred to as a 2/3 Clave Montuno. This is a highly syncopated pattern, so take your time with it and feel free to focus on one bar at a time until each one is comfortable, and you can glue them back together after that. The next Salsa rhythm that you’ll learn is a variation of the previous Salsa rhythm, only this time it is a 3/2 Clave Montuno. As you can see, the pattern is very similar to the one you just learned, though this time it starts on the upbeat of the first bar, rather than the downbeat. This is a small item, but as you can hear it makes a big difference in the overall sound of the rhythm across four bars. The last two Salsa grooves that you’ll study in this lesson focus on fingerpicking chord shapes in your lines in order to add a bit of variety to your salsa phrases. This first pattern uses a fingerpicked 8th-note line to open the first and third bars of the phrase, with syncopated single notes and double stops filling in the rest of the pattern. The final salsa rhythm is a reversal of the groove that you just learned, with the upbeat syncopations starting the phrase and the fingerpicked chords placed in the second and fourth bars of the phase. Once you have these two fingerpicking examples under your fingers, try combining exercises 9 and 10 from this lesson. Great lesson, love the salsa stuff! Wow… thx again… I’m able to play #1 on the top, pg 4… thx again, Dirk! Greg D.